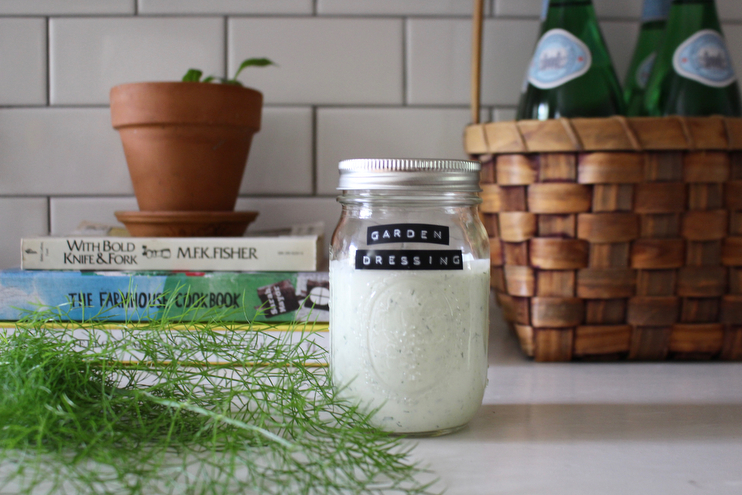 Spring Garden Dressing aka Ranch! Have you seen the beautiful movie A Good Year, the one set in Provence with Marion Cotillard (ooh la la!) where the uptight broker falls back in love with his French wine-making roots in the countryside? It’s a predictable rom-com but one of our favorites to watch with a good glass of red when wanting to unwind. Well, you know the American couple that sits down and requests “liiiiight ranch dressin’ on the siiiide” at the little cafe and they get scoffed at by the waiter, and you’re sitting there on the couch giving them the ol’ eye roll? Yeah, that’s me. Not the waitress, the embarrassing one requesting ranch with my meal. Is it weird I automatically wanted to insert the hand raising emoji right here? 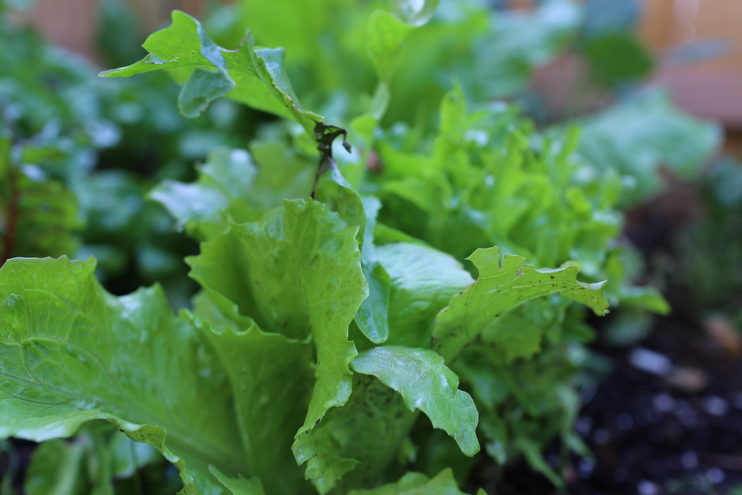 I think good homemade ranch dressing is hard to come by, thus why I’m share my spring garden variety recipe with you! Homemade ranch (not the bottle stuff that has a weird and misfortunate tang) has always been my dressing of choice, and am that girl who to those servers out there (I know because I was one for many many years) who requests it to dip fries/dunk anything savory/fried. I have yet to stash a bottle in my purse to accompany me as I dine out, but if you think I’d judge anyone who did make such a bold move, I’d say pish posh. You do you! However, do I judge a restaurant on the quality of their ranch? You betcha I do. I will also make a mental note to go back there just because their ranch dressing was that good even if the food was…eh, so-so. Andrew thinks I am a strange bird and I am sure you now do too, but I like what I like! And I know ranch is not the fanciest of dressings, nor it is at all refined, but it is homemade and simple to make AND preservative free so theres that. I’d also say it’s just about the best thing you can put on fresh garden greens or anything taken hot off the grill. …and don’t even try to make this fat-free or with anything skim, you’ve been warned. Ingredients for Spring Garden Dressing AKA Raaaanch! To prepare, mix the first six ingredients in a blender for a few minutes until the dressing base is really smooth. Next add in your garden herbs (chives, fennel fronds, parsley, dill) and season generously with salt and pepper. Pulse the ingredients together until they are finely chopped up but not completely blended to a pulp. You’ll want some flecks of green in there but not an entirely light green dressing, if that makes sense. Once blended to your liking, store in a glass jar in the fridge for up to one week. I would say date it just to make sure you don’t end up eating spoiled dressing, but there’s not a chance you won’t finish this batch in a few days time. Enjoy on anything and everything! This sounds delicious and sooo easy and definitely better for you than the stuff you get in the supermarket. I love your recipies! Would you consider posting more in the future?